We recognize our business partners for their continued support to our farm, our family and sustainable agriculture. Below you will find restaurants, stores and markets where our products can be eaten or purchased. If you happen to stop in as a result of our site, please let them know! 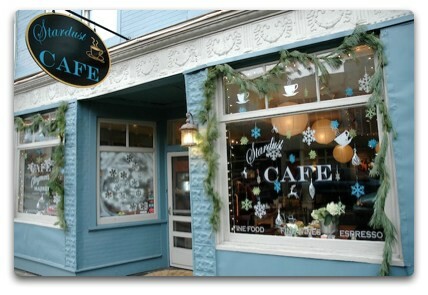 The Stardust Cafe has been with us for years. Hands down the most committed restaurant in the area to the use of local foods and the only local steak in town. Presently we supply Stardust Cafe with Ribeyes and Burger. With over 30 years of service to the Greenbrier Valley, Edith's has always had the health of the community at heart. Edith's has a freezer with meat from several farms around the area including Swift Level. The Bridge Road Bistro has partnered with us not only by serving our meats but by being our number one choice for catering events. They have been selected eight years in a row for the Wine Spectator Award of Excellence. 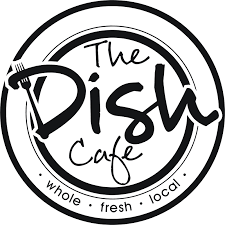 Bringing fresh food to the Daniels area for several years now is The Dish Cafe. Featuring a fun and eclectic menu and a commitment to good food, these ladies and gentlemen are always cooking up something good. The Dish Cafe is also featured as a partner of Bon Appetite Appalachia. The Fiddlehead has served our beef since day one, making it one out of only two restaurants in Snowshoe area that use local products. Preparing fantastic burgers, wings and wood fired pizzas has earned this establishment its hold as the locals spot. Elk River opened its doors in 1985 with sustainability in mind. Having built many lasting relationships with growers in the area, just about everything that can be local, is local. We are happy to provide the filling for their world renowned Shepard's Pie! In addition to a restaurant they have an inn, several cabins and the ability to outfit for fly fishing (Orvis certified), cross country skiing, mountain biking and snowshoeing. Restaurant is open Thursday through Sunday in the winter and periodically through the summer. GVBC has provided Lewisburg with fresh artisan bread and high end pastries for more than a decade. In recent years they have added a full menu and feature a Swift Level Philly Steak Sandwich! Added to the list of Lewisburg's impressive dining options in 2015 was The French Goat. Specializing in fusion french bistro style food each meal is a piece of art. The only restaurant in Lewisburg with a garden in the back yard! The French Goat supports a wide array of local producers as featured specials. The Greenbrier has been the staple of commerce for the Greenbrier Valley since 1858. Along with hosting several prominent sporting events The Greenbrier is known for their world class dining. They purchase our beef for private parties and catered events. Just down the hill from the shops on Bridge Road, Lola's serves up the finest neapolitan style pizza in the capitol! Lola's has been partnered with us for five years and supports the Monroe Farm Market Online. Opening it's doors in 2016 The Station is bringing a new level of locality to Fayetteville's food scene. They purchase whole steers from Swift Level and use every last bit, tongue to tail! Be sure to make this a stop if you need to refuel after a long day on the river. Directly across from the shops on bridge road you will fine South Hills Market & Cafe ready to open it's doors to you and your appetite! Featuring fresh produce and meats and regional cuisine they have a menu to suit a broad palette. LFM is the market where we sell our meats on Saturdays in Lewisburg. There is a large variety of nearly twenty vendors with fresh vegetables, meats, herbs, fruits, plants, the list goes on! If you haven't visited us at the market, please do! Monroe Farm Market Online is an aggregator and online marketplace of locally grown and produced food. Orders are placed between Sunday and Tuesday online and then delivered to Charleston, Lewisburg and Union on Thursdays. Monroe Farm Market has over 30 producing featuring a wide variety of products.